After Heilongjiang customer and Myande Group cooperated in the core equipment of 3,000TPD corn starch project, in the extraordinarily cold winter of 2017, the commissioning of the equipment line was carried out. Through unremitting efforts of customer and Myande engineers, this 3,000TPD corn starch production line started running successfully. Based on automation operations of the corn feeding circulating water, the automatic feeding system, the soaking tank corn level, the monitoring of tank liquid level, the monitoring of all the motors and pneumatic valve instrument interlock, under skillful control of customer and through the full cooperation of Myande engineers, after 1 hour, the project started running normally and finished starch milk has entered the following liquid sugar section. Actually, the temperature of winter in Heilongjiang Province is close to 30 degrees below zero, and working conditions of plant are also very hard, which are all the challenge for Myande’s on-site commissioning team. In order to complete this project successfully, all team members with strong fighting spirit stuck to the work site of commissioning. 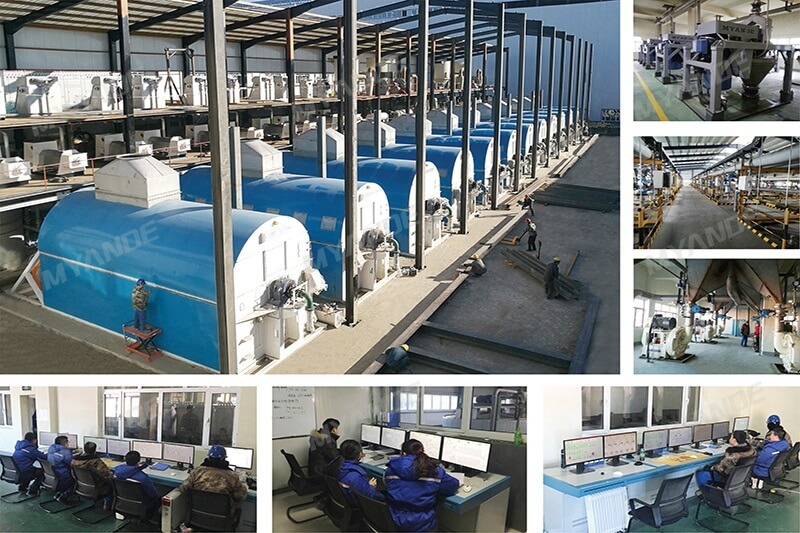 After more than ten years' development, Myande automatic control department has formed a professional team composed of more than 30 engineers, and has completed more than 200automatic control projects in the field of starch, edible oil, fermentation, energy saving and evaporation. Through these projects, the unique qualities of Myande’s automatic control have been gradually formed. Every automation engineer of Myande will be involved in the process design, on-site installation, project commissioning and other sections. Myande automatic control includes low voltage electrical design, PLC system design, DCS system design, electrical installation design, on-site commissioning of electrical and automatic control system and other parts, which can provide one-stop electrical and automation solutions for customers to save time and improve efficiency. Myande’s electrical material list is formed after the 1:1 3D design is finished, which can eliminate waste materials, reduce the purchasing cycle, and reduce investment. All the projects of Myande have standard project management process. At the same time, each step of the project has record, tracking and feedback, which greatly guarantee the quality and punctual delivery of the project. Myande automatic control system provides customers with a lasting and life-long after-sales service to solve the worries of customers.